Olympus gives more goodies in this attractive package, such as ISO of up to 25600, along with eight fps ongoing shooting speed. Like the other Olympus top OM-D camera models,this cameracomes with 3-axis in-body image stabilizer system that enables effective blur reduce which happens when you shoot on the go. Swift 81-point autofocus covers camera frame, which means you can easily and swiftly select focus you want to capture.You just have to lightly tap camera’s 3.0 inch 1.04M-dot monitor-it has great touchscreen option. Shutter release as well as other camera settings you easily reach by the simple touch on the screen, and voila: LCD flips down 180° for on-the-spot selfies as well as very easy to act strange-angle photo shooting. When speaking about the visual presence, it is something that photo-addicts will surely love because it gives you this old-times, retro-feel: it looks like 1950s classic film camera with its sleek metal casing, leather strap and wrapping and massive top cover. Besides, front handhold is quite large with easy-accessible buttons to assure safe handling, which comes handy when you set on taking a selfie. In top plate you will also find camera’s external flash or accessory mounting hot shoe. Your creativity can go totally wild! The lens is 3-aspherical will assure minimum aberrations that will give you clear and properly sharp images. You can always adjust AF with MSC autofocus which is almost mute, which comes handy when you shoot video. 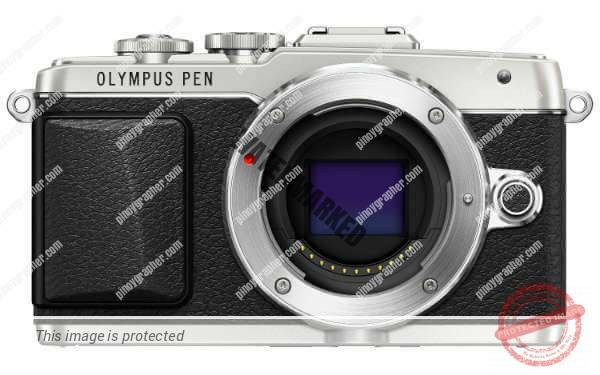 Olympus makes a step further and provides additional equipment to protect your camera, meaning, you can purchase Body Jacket in one of following stylish colors: black, light brown or brown, and carry your Olympus with style. Another handy accessory is BLS lithium battery that will give you additional 1210mAh and 7.2V of power.